It's like the MacBook but a little Airier. 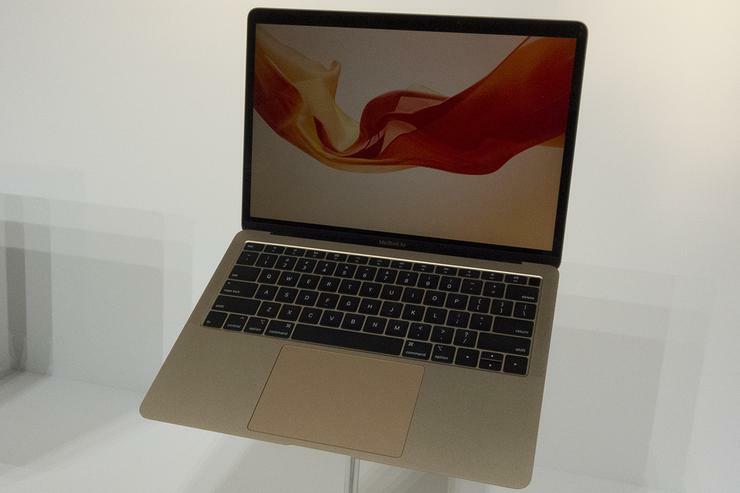 Apple didn’t waste any time introducing the new MacBook Air at its Brooklyn event Tuesday, and as such, it was the first thing that greeted me when I walked into the hands-on area. But for a brand new product that’s been rumored and hyped for years, the MacBook Air is very familiar. It still has the classic wedge design and a dearth of ports. It’s still bigger and heavier than the non-Air MacBook. And it still has something of an identity crisis. 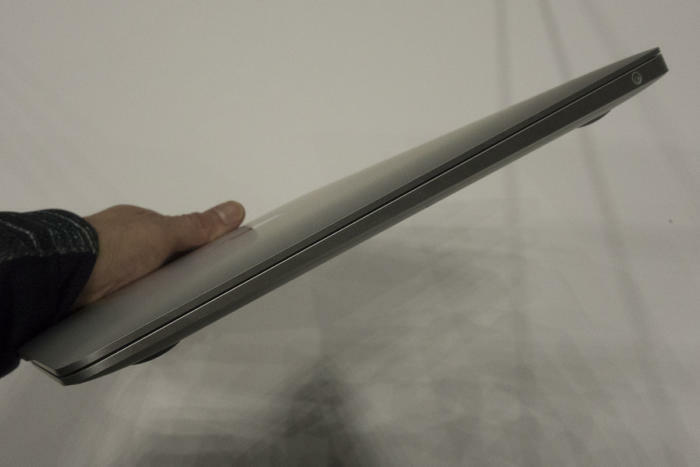 When closed, the new MacBook Air is still shaped like a wedge. But when I picked one up for the first time, I wanted to take it home. There’s something about the MacBook Air that’s comforting and familiar, and it’s probably why Apple didn’t change the aesthetics too much for the 2018 version. You just don’t mess with the classics. And the new MacBook Air, while certainly an across-the-board improvement over the version it replaces, feels very much like a classic Mac. 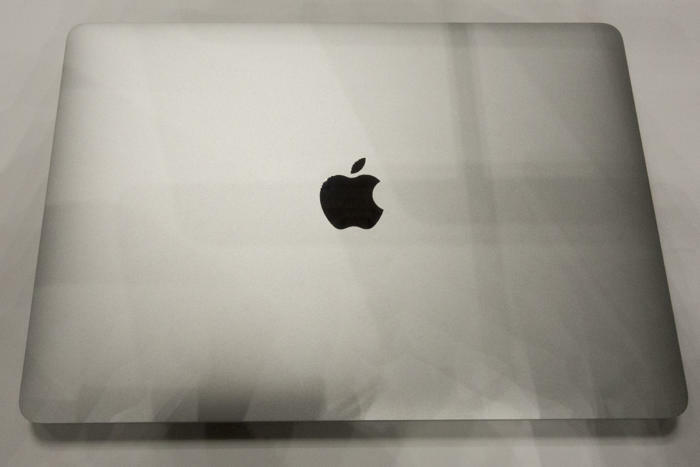 The design is instantly recognizable, kind of like a bigger version of the 12-inch MacBook. Did I say kind of? I meant exactly. The fit, finish, and feel of the new MacBook Air is nearly identical to the MacBook, with the same Retina display, black bezels, and giant Force Touch trackpad. Even the backlit butterfly keyboard has the same clicky-clack feel, without the cushioned travel of the new MacBooks. The new MacBook Air is a lot like the MacBook. The MacBook Air is slightly heavier, slightly thicker, and slightly bigger, but not overtly so, even with a screen that’s an inch larger. The new Retina screen is a marked improvement over the old version, but nothing that you haven’t already seen on the MacBook and MacBook Pro. And it has a new Touch ID sensor to the right of the F12 key, so you get the best part of the Touch Bar without the Touch Bar. The Force Touch trackpad is also new to the Air, but it’s no different than the one on the Pro. Overall, it feels like a merging of the MacBook and MacBook Air, which were never all that different to begin with. It’s not a reinvention of the wheel or even the Mac, but it’s a very nice notebook with a great design and gorgeous screen. The new space gray and gold color options are a welcome, if not overdue addition. Despite its similarities to the smaller and more expensive MacBook, the new MacBook Air definitely has its own personality. It’s hard to put my finger on exactly what it is, but when I picked it up I immediately knew it was a MacBook Air. Maybe it’s the specific taper of the enclosure or the size of the palm rest. Or it could be the speakers that flank the sides of the keyboard. Whatever it is, if you like the MacBook Air, you’ll love this machine. The new MacBook Air quite a bit smaller than the old model. That's not to say it’s existence isn't confusing. 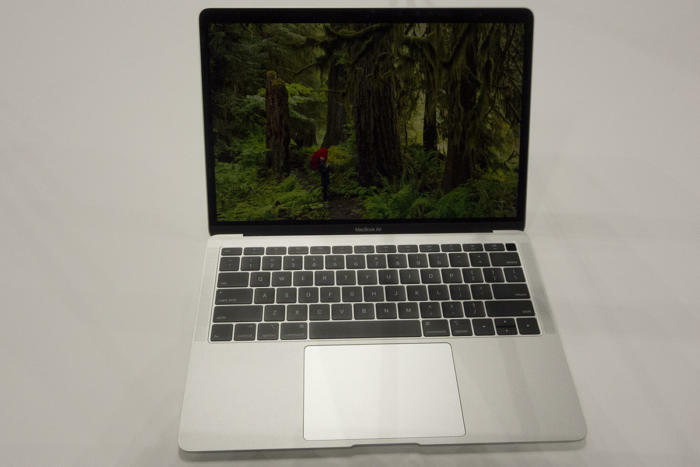 Had Apple retired the MacBook Air and introduced a 13.3-inch model of the 12-inch MacBook, it would have made sense. As it stands, the MacBook Air has a better processor, better graphics, bigger screen, more battery, two Thunderbolt ports, and Touch ID for $100 less than the entry-level MacBook. That makes no sense. Maybe Apple just forgot to update its MacBook website with a new $999 price? But confusing price matrix or no, the new MacBook Air is a fantastic machine for $1,199. It looks and feels every bit like the old model did, and it delivers the speed, screen, and specs fans have been clamoring for. And now it comes in gold, too.